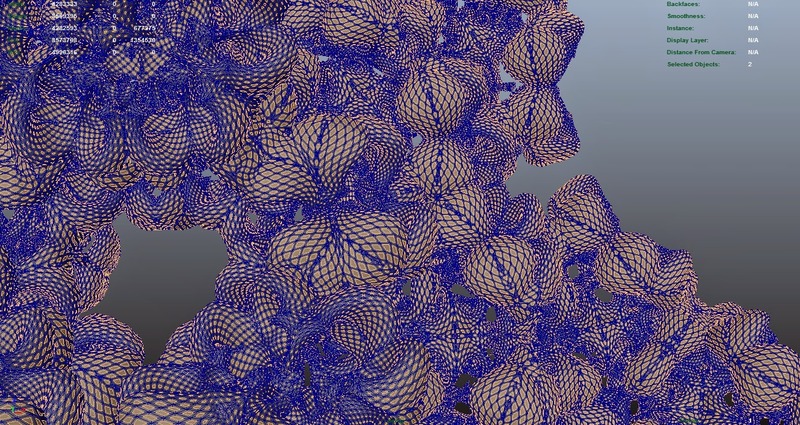 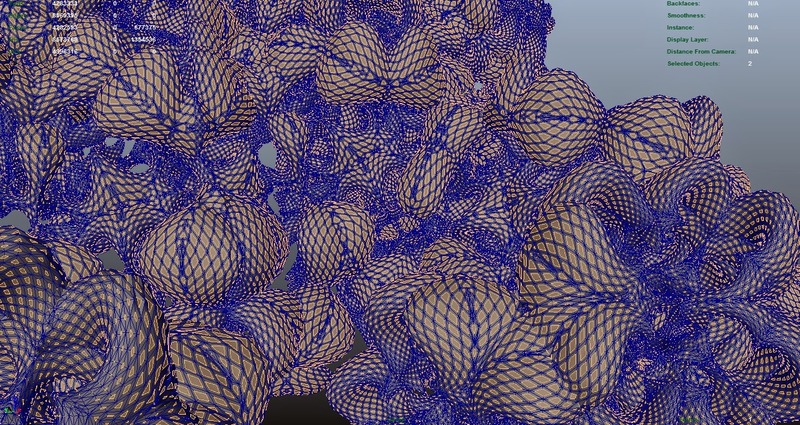 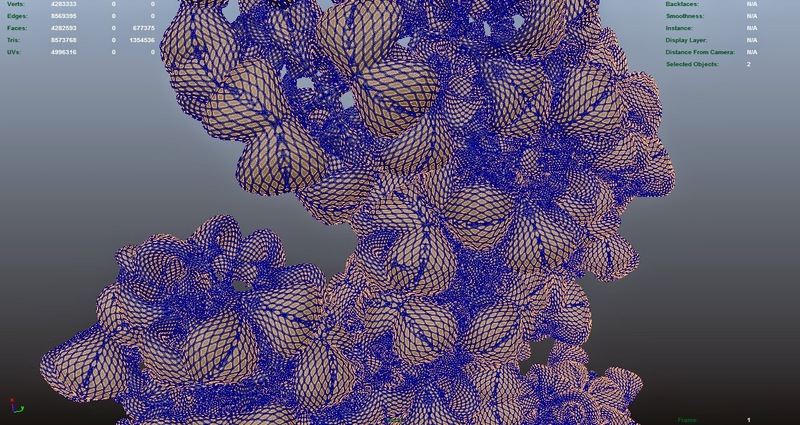 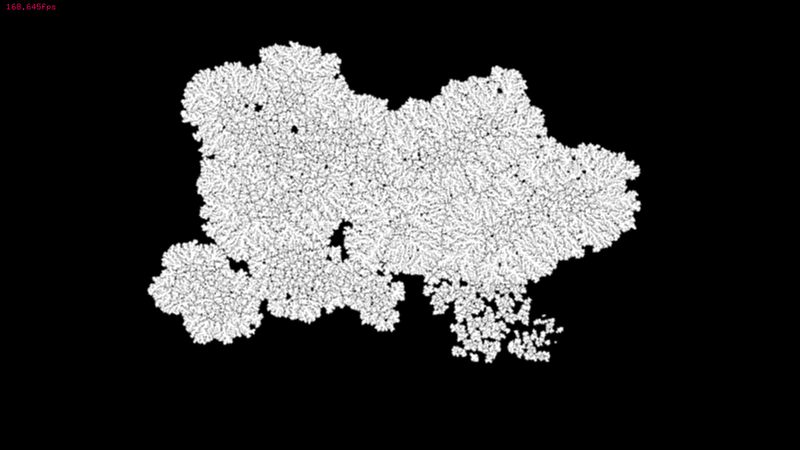 Aggregations from tommaso casucci on Vimeo. 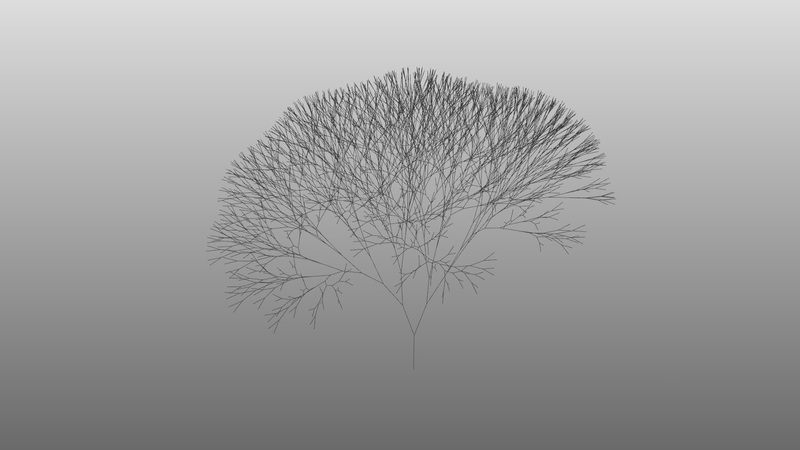 A short collection of C# and Grasshopper tutorials initially intended for RC16 students at MArch Urban Design, Bartlett UCL now available on my github. 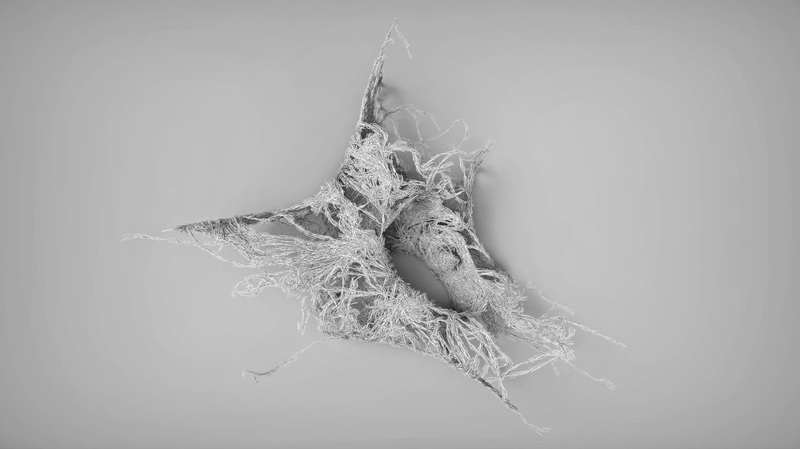 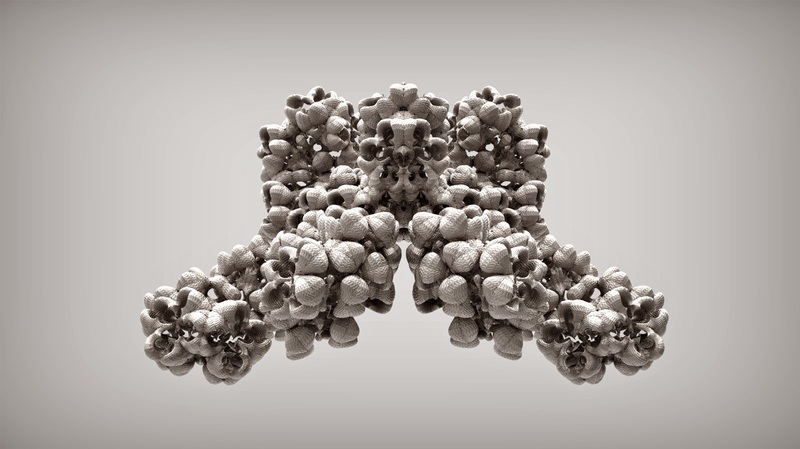 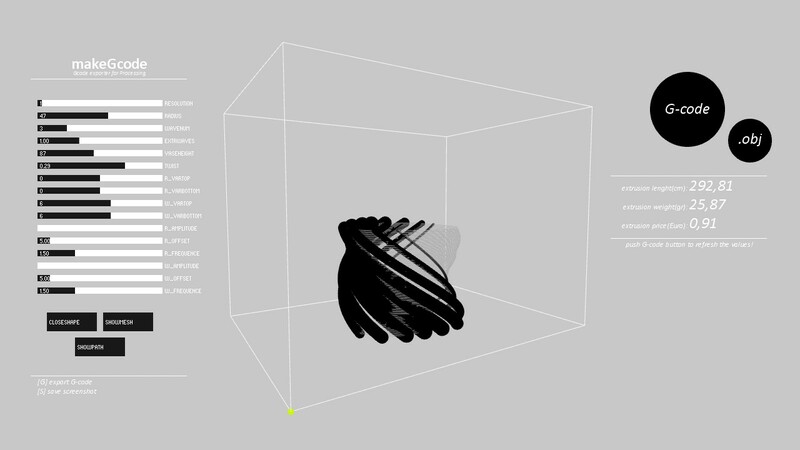 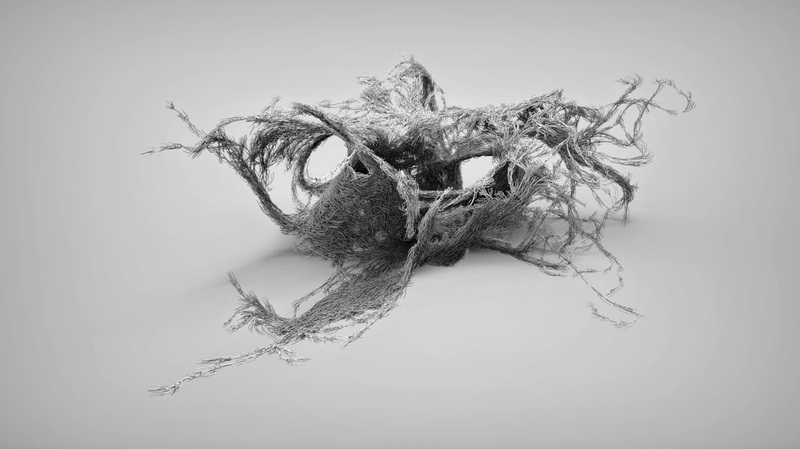 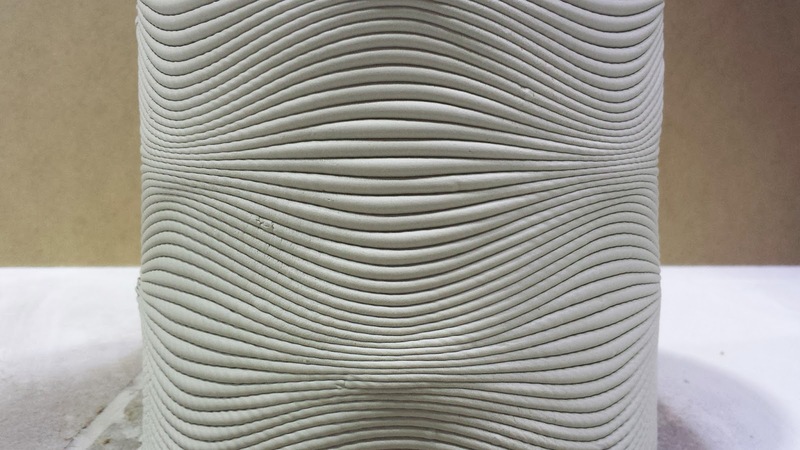 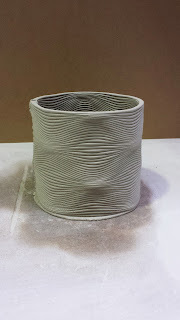 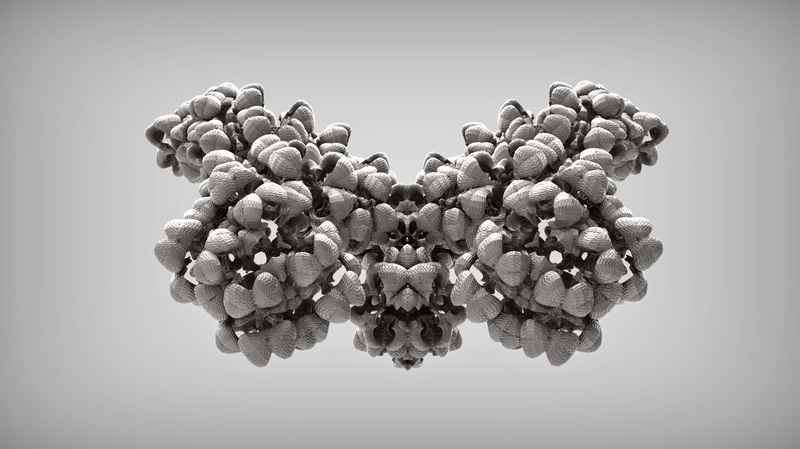 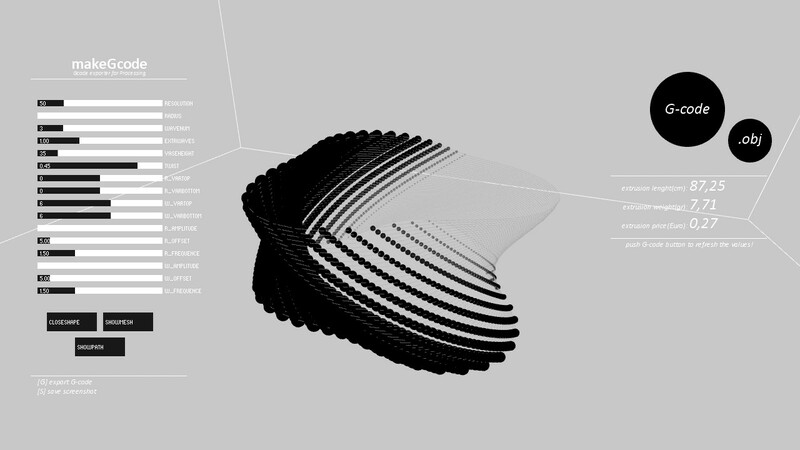 coral_001 from tommaso casucci on Vimeo. 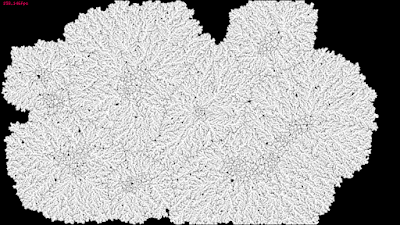 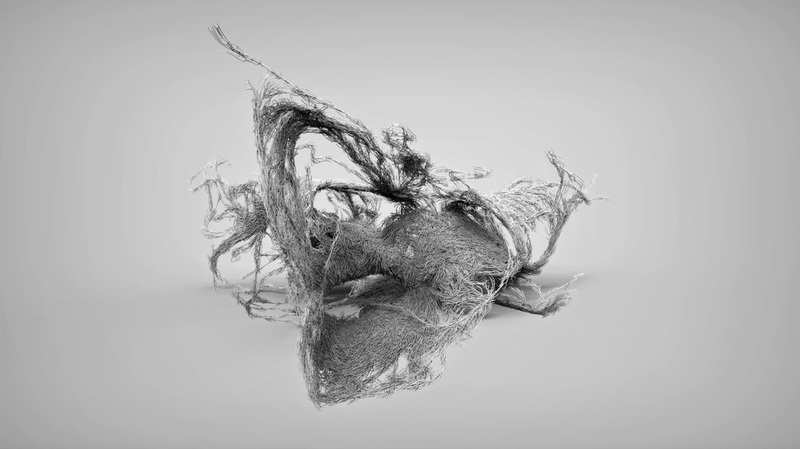 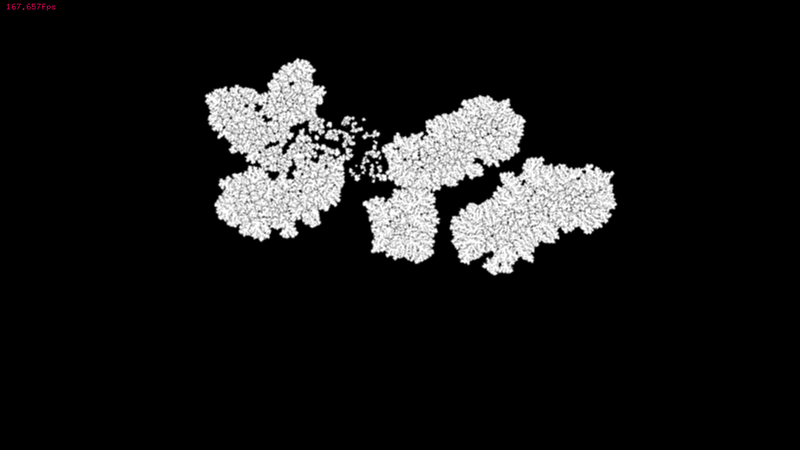 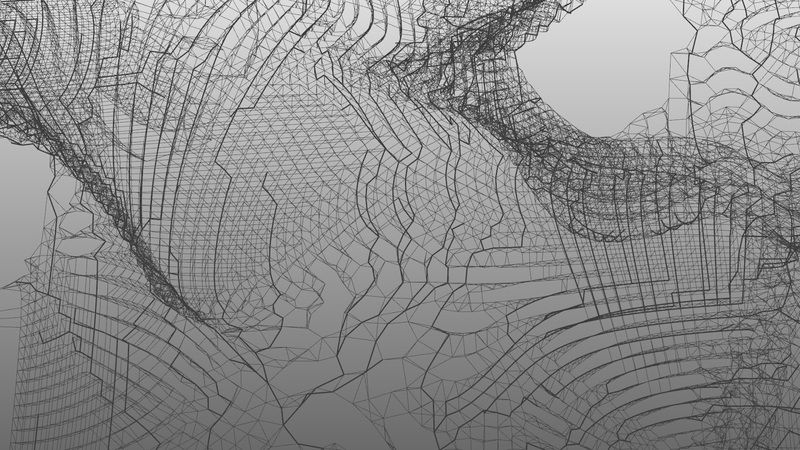 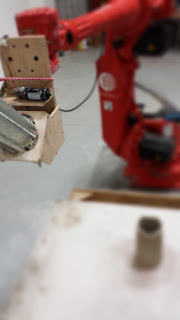 This is a series of studies developed during a recent collaboration with Co-de-iT and is a step forward in a larger research project focused on the exploration of the possible interactions between digital computation and complex and selforganizing physical processes. 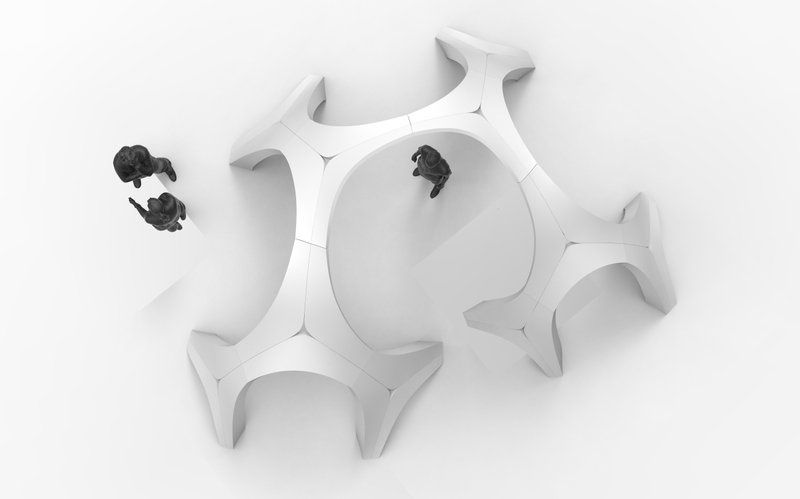 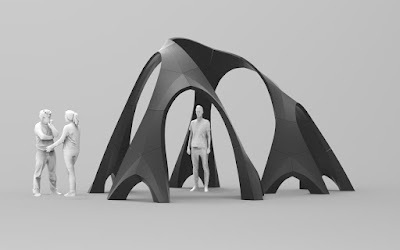 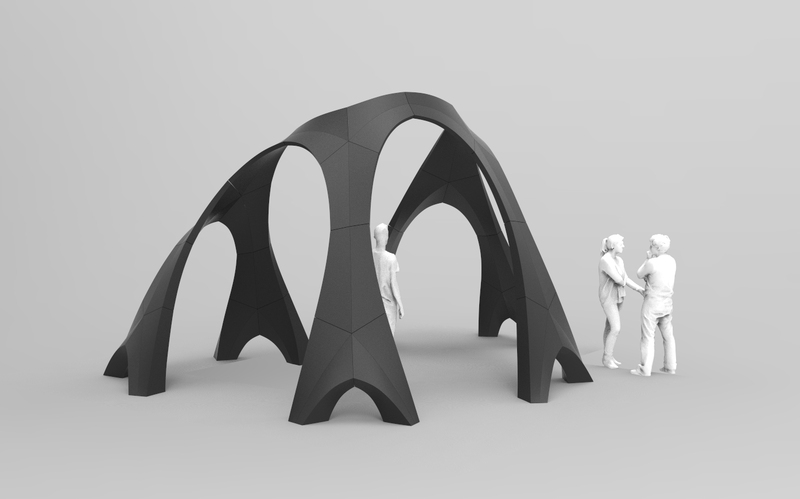 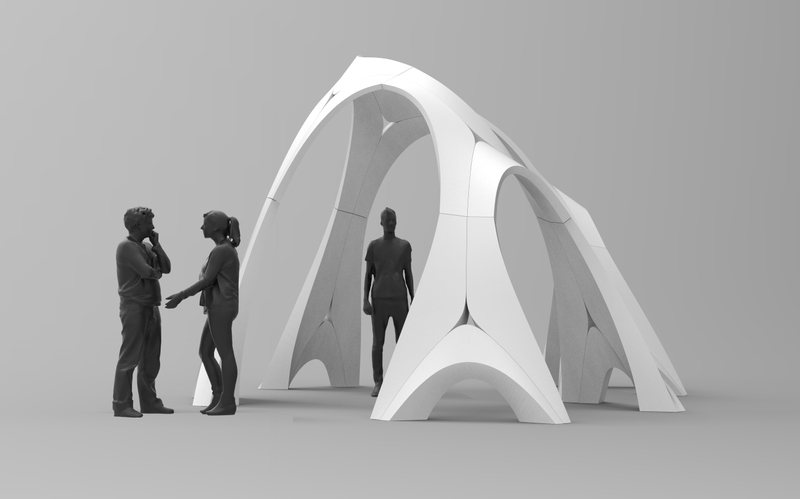 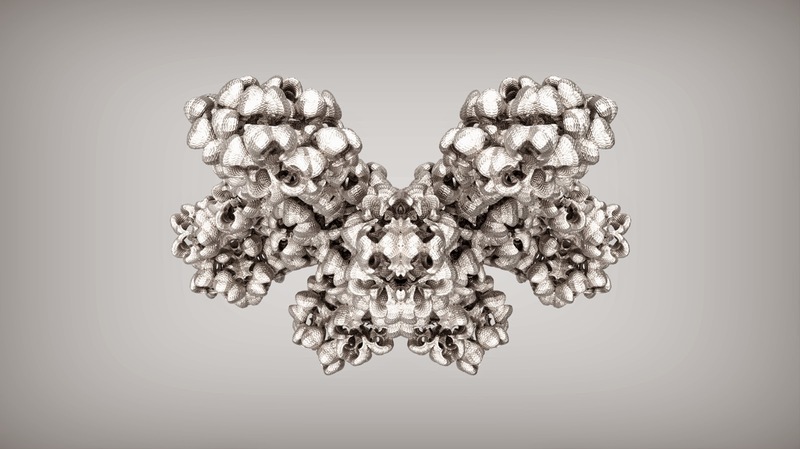 The series is developed on the base of a small bit of code refined during the ‘BioLogic:living structures and swarm bodies’ workshop, aimed to facilitate direct communication from Processing to FDM 3Dprinters through the generation of G-code instructions. Code is available here. 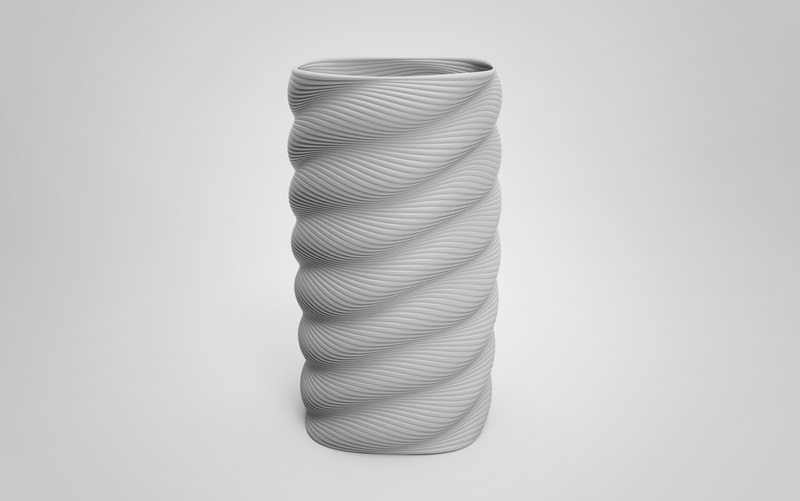 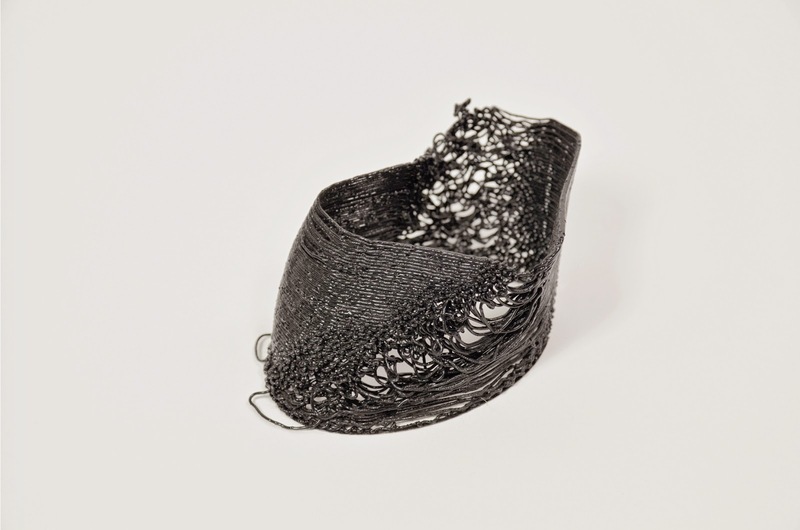 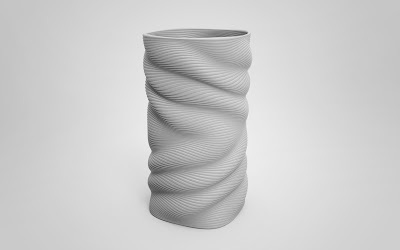 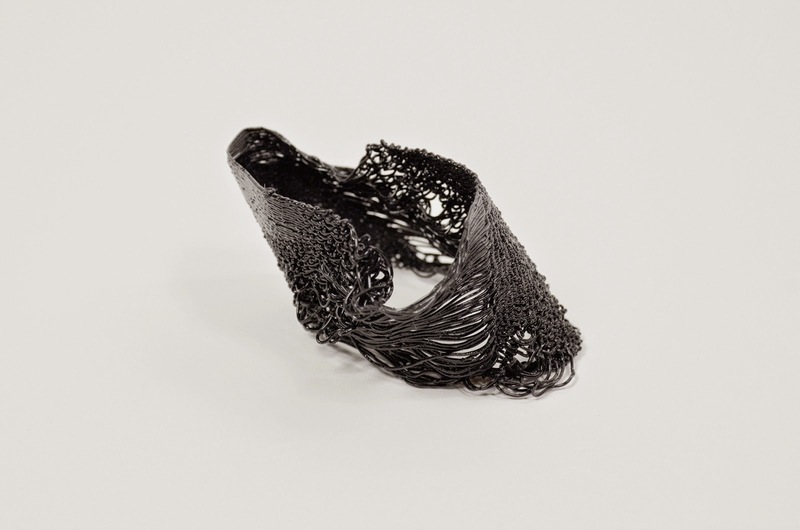 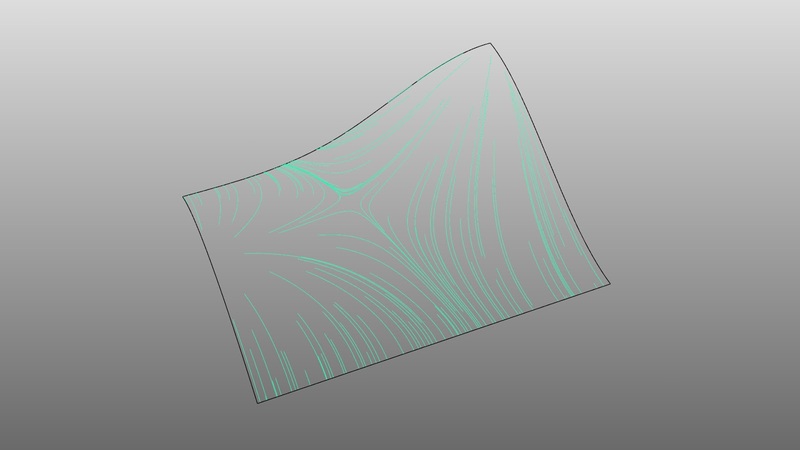 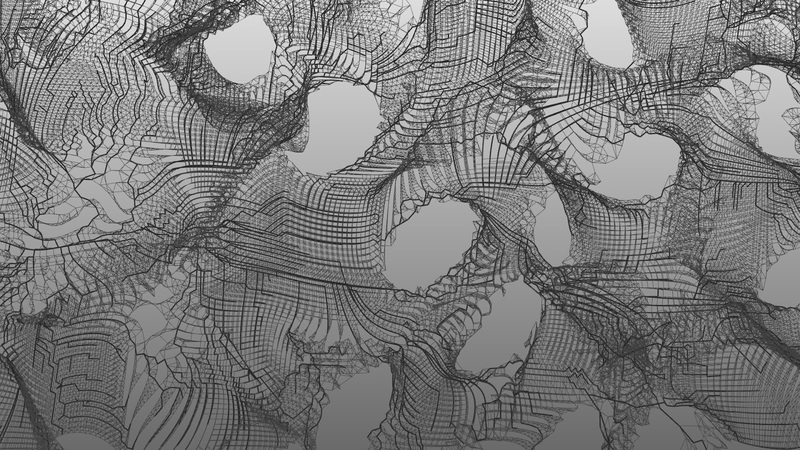 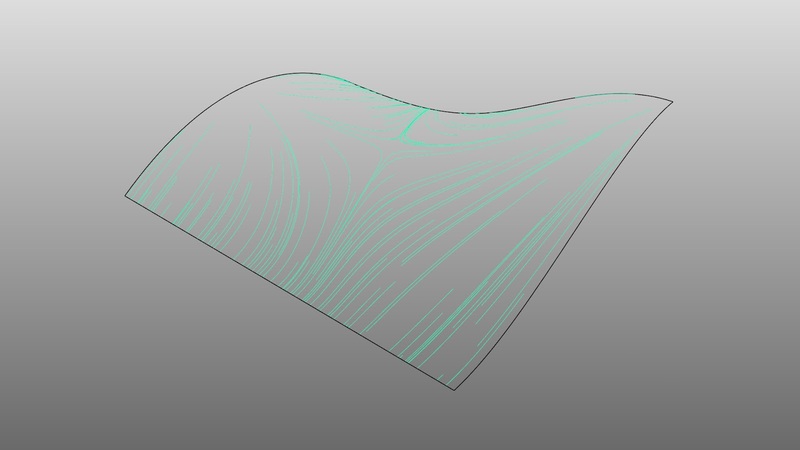 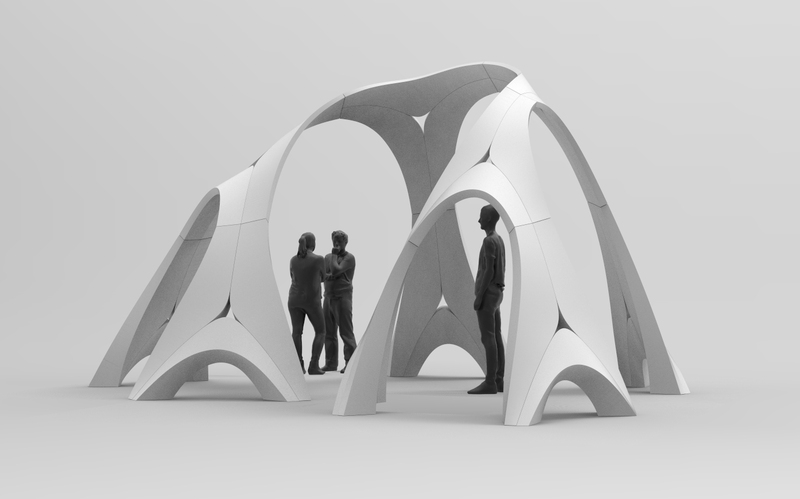 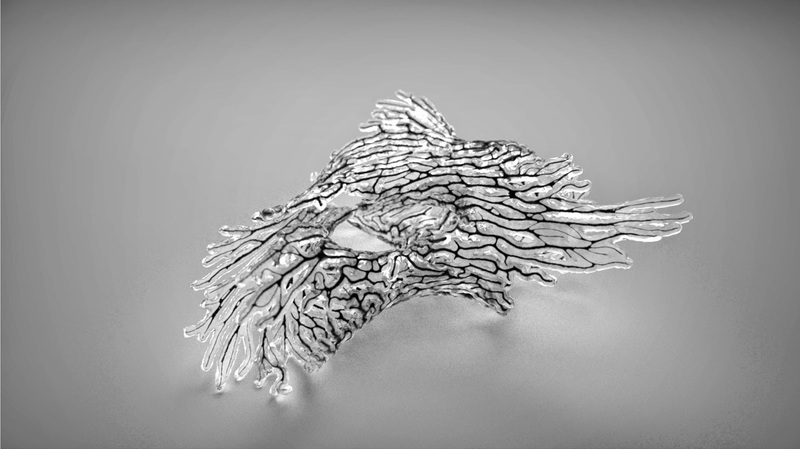 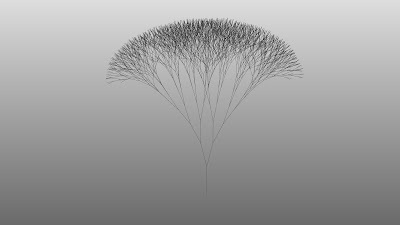 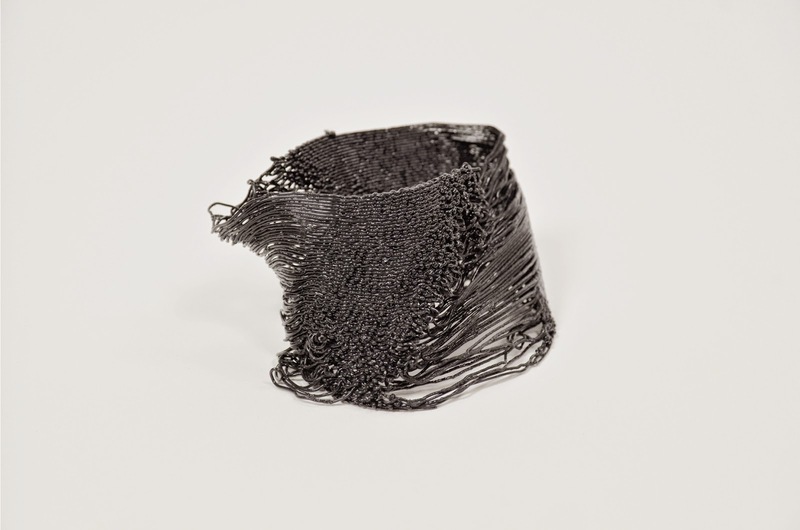 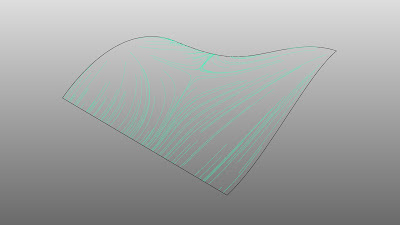 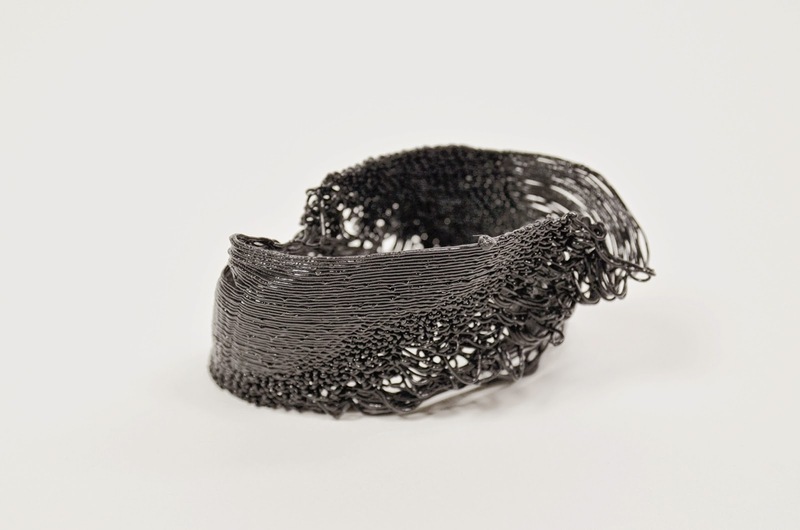 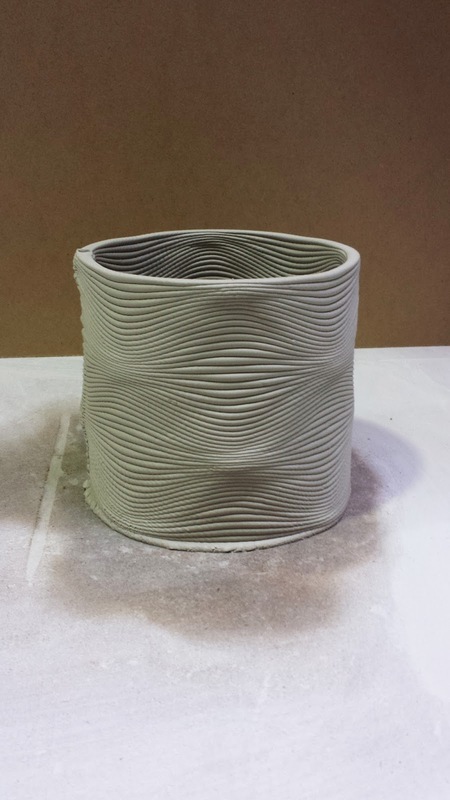 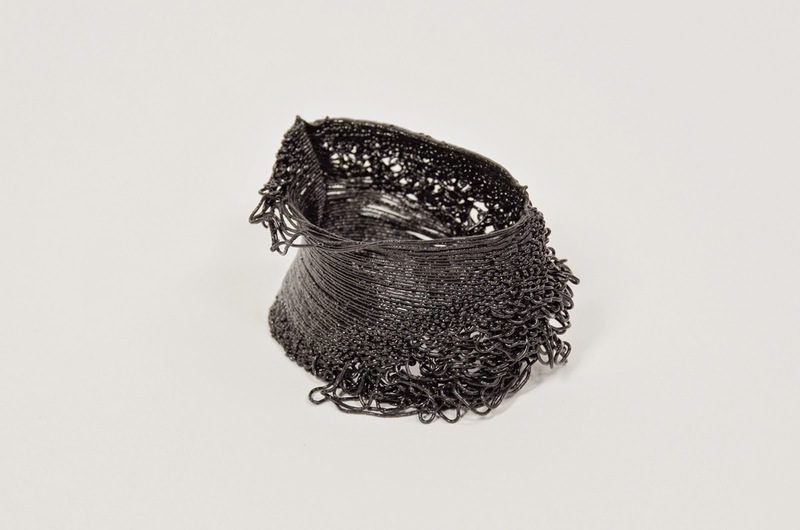 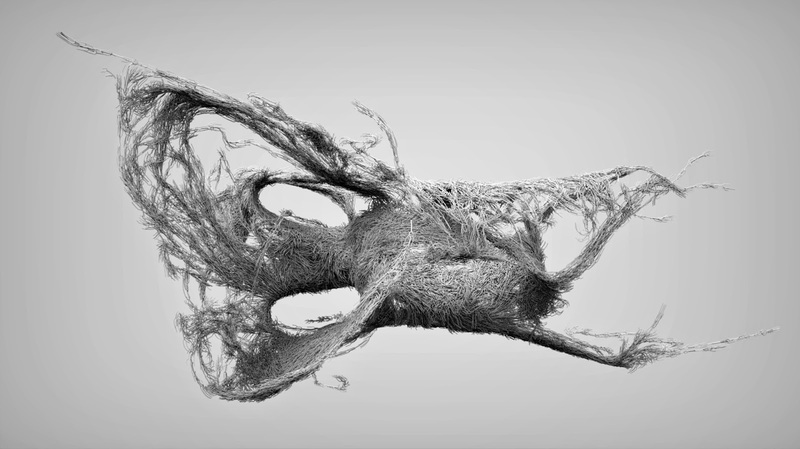 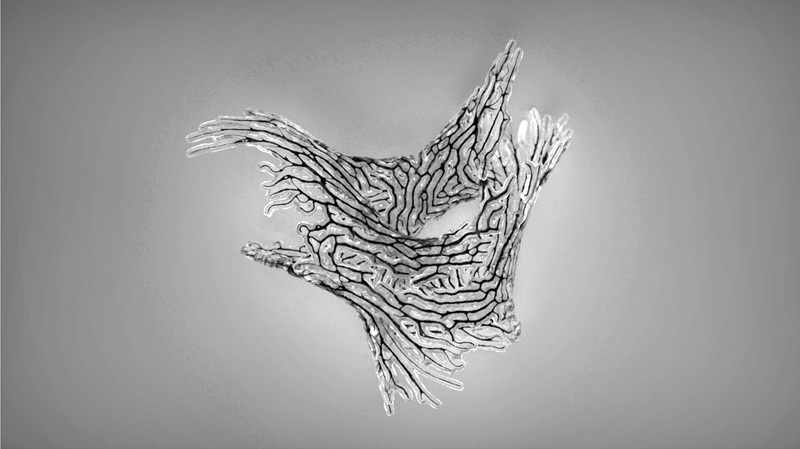 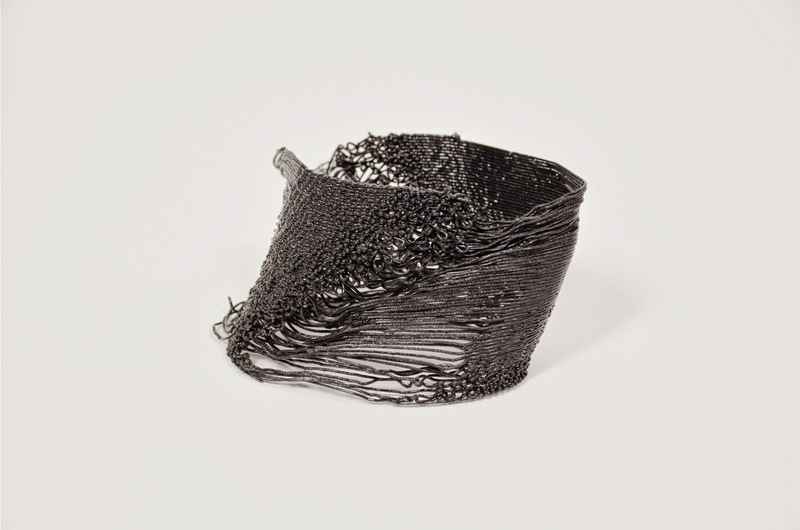 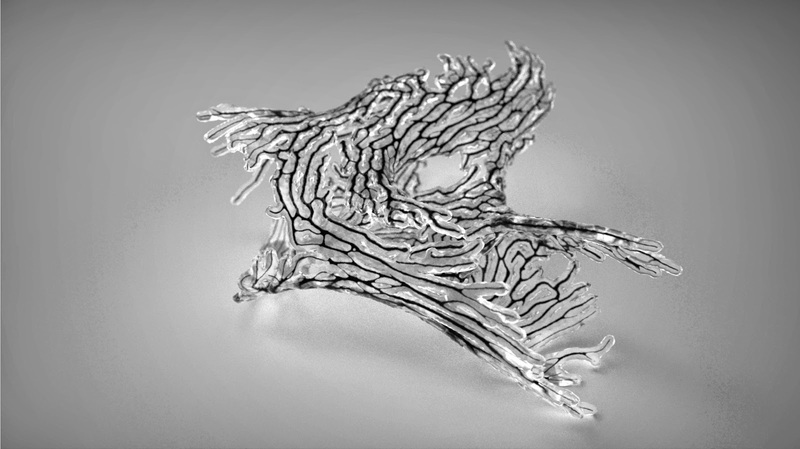 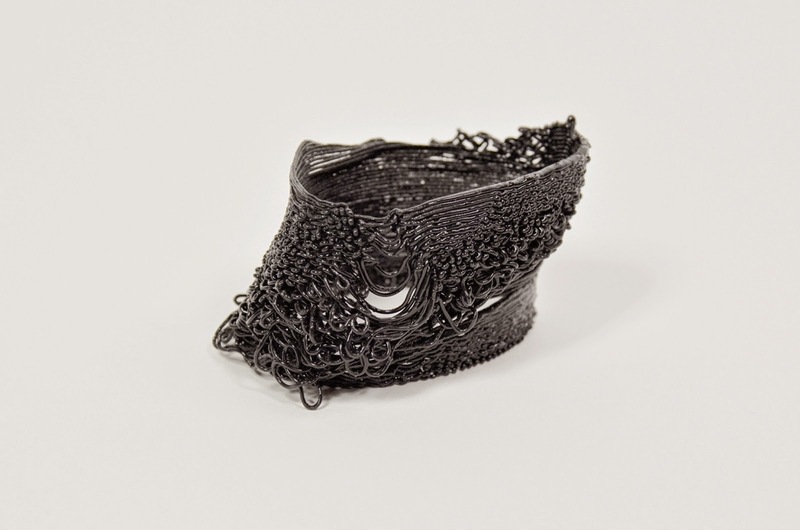 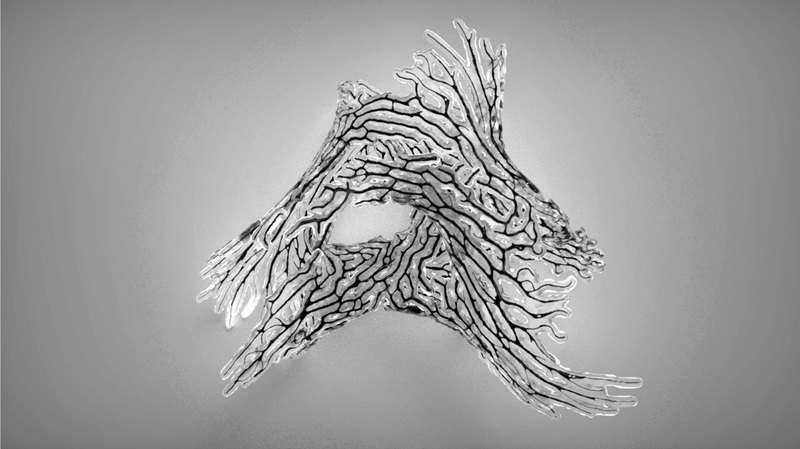 The studies main goal were to explore the combined use of generative design strategies and material computation, in particular the capacity of plastic threads to self-organize in curly geometries once extruded from the printer. 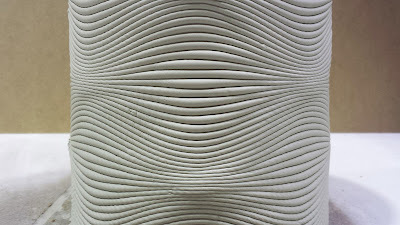 Once a comprehensive catalogue have been refined, a series of design studies was developed were on one or more of the parameters above was varied according to modulate structural, aesthetical or performative qualities during the extrusion. Tommaso is a computational designer interested in exploring new design strategies ranging across the fields of computation, digital and robotic fabrication. 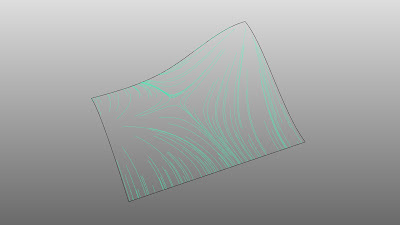 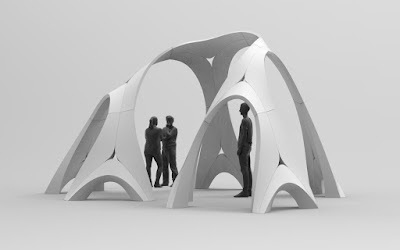 He is a member of the Computation and Design group (ZH CODE) at Zaha Hadid Architects as well as curator of an independent design research platform named Synthetic Morphologies. 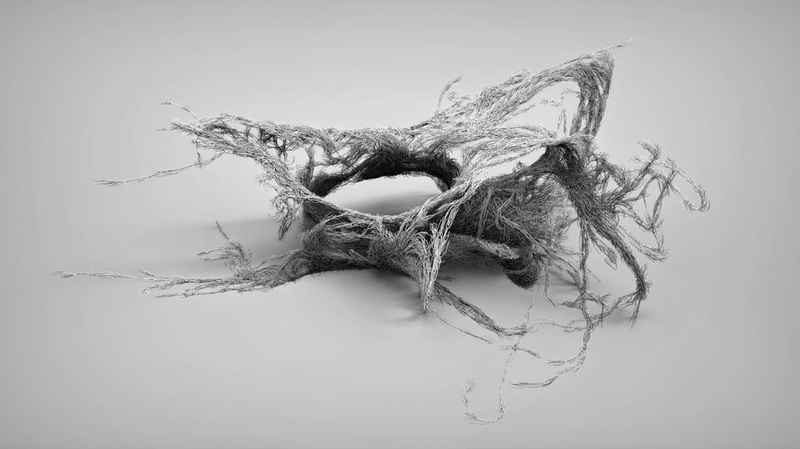 Since 2016, Tommaso is studio tutor at RC16 MArch Urban Design, the Bartlett UCL, while previously he has been contract professor of Digital Modelling Techniques at Academy of Fine Arts in Bologna from 2013 to 2015. 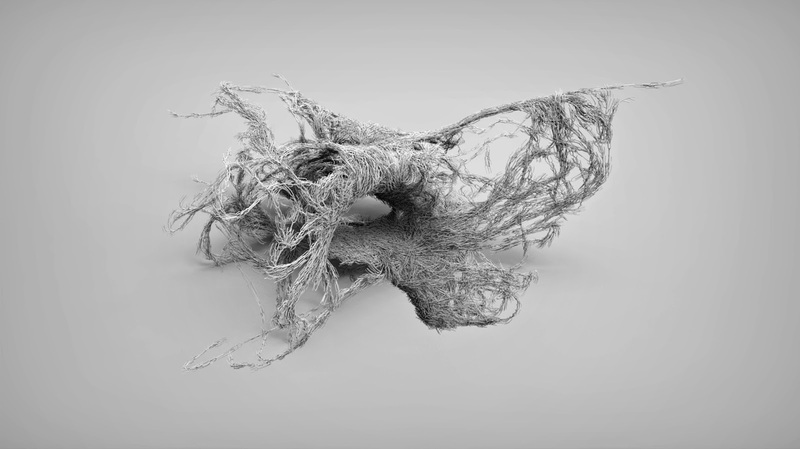 Tommaso has been teaching and lecturing internationally at the Bartlett UCL, The Architectural Association, the University of Bologna, The University of Genova, The WAAG society upon others. 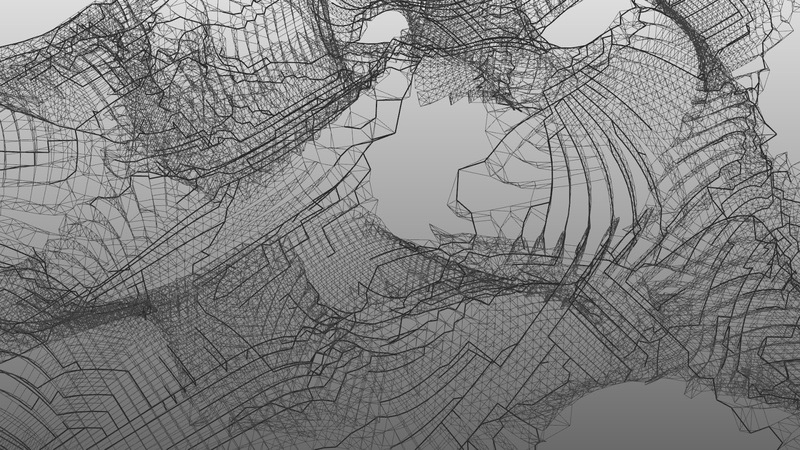 Tommaso has been working at SPAN Architects (2010), Kokkugia (2012), DecodeBim(2013) and Co-de-iT(2010-onwards). 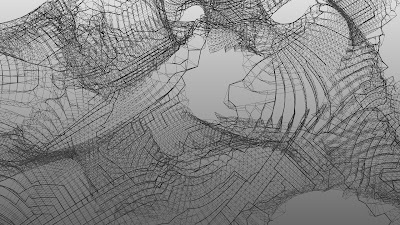 He holds a Master of Architecture (MArch) and a Bachelor of Architectural Studies (BAS) from the University of Florence, Italy.